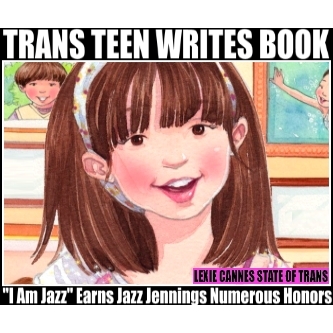 LEXIE CANNES STATE OF TRANS — Jazz Jennings, the trans kids that graced this space numerous times, continues to inspire, motivate, and now, rack up accolades — all at the tender young age of 14. Most recently, Jazz was named by Time magazine as on of 2014’s 25 Most Influential Teens. Among other esteemed teens on the list was recent Nobel Peace Prize winner Malala Yousafzai. This week, according to a report in the Miami Herald, Equality Florida will honor her with the Voice for Equality award next month.